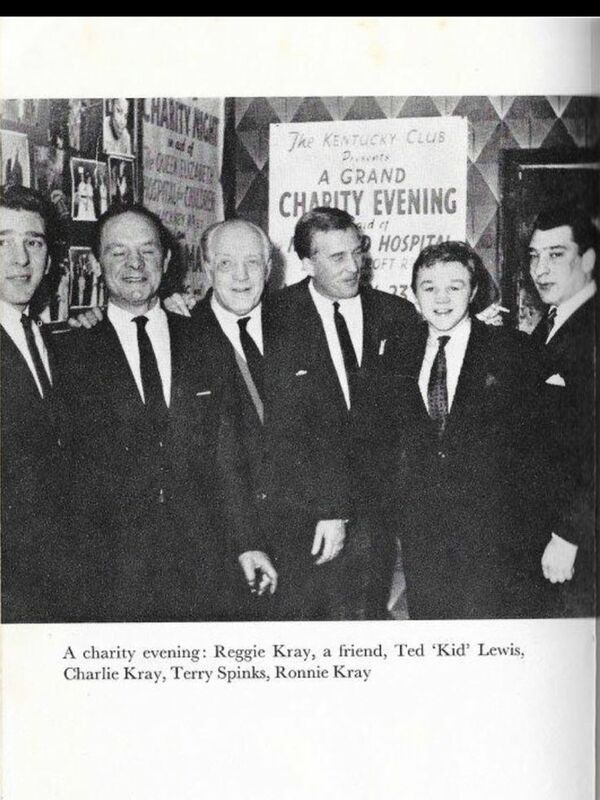 Ted 'Kid' Lewis could be called a forgotten classic. Though his name is not spoken of in the same breath as the famous fighters who became stars in the era of television, many true aficionados of British boxing rank the East Londoner among the greatest pugilists this island has ever produced. He has the statistics to back this up: Lewis won nine titles during an extensive career, triumphing from the featherweight to middleweight divisions, and was a world champion at welterweight. He was the first British fighter to win a world title in America and became a bona fide celebrity during the twenties. But his later life saw the former champion become involved with one of twentieth century Britain's most vilified politicians: after his career in the ring was over, Lewis worked with the notorious Oswald Mosley, even standing as a candidate for his party at the 1931 general election. Like many of British boxing's greatest success stories, Lewis was the child of immigrants. Born Gershon Mendelhoff in October 1893, he was the third of eight children, his Jewish parents having fled persecution in their native Russia. The family lived in a gas-lit tenement on Umberston Street in Whitechapel, forming part of a growing Jewish diaspora in London's East End. Like much of the area's population, both native and immigrant, the Mendelhoff family was poor. The young Gershon suffered at the hands of local Irish boys who goaded him about his Jewish heritage, and he fought back with his fists. It is said that a local policeman first steered the youngster towards the fight game, spotting the boy in a street brawl and recognising his latent pugilistic ability. Gershon soon joined the Judean Athletic Club and began competing as 'Kid Lewis', supposedly in homage to the great welterweight champion and fellow Jewish fighter Harry Lewis (Ted was not added until years later, when he travelled to America). Lewis spent much of his early career fighting at the Judean, as well as the newly opened Premierland venue on Whitechapel's Black Church Street. He turned pro aged 14 and competed almost fortnightly throughout 1910 and 1911 as he sought to hone his craft. It was certainly an intensive education in a tough world, but it served him well in the years to come. From a precocious youngster, Lewis grew into a tough man with a surprisingly friendly face, gnarled by his battles in the ring but, as a fighter, much stronger for them. By 1913 Lewis had already fought in excess of 130 bouts, making him a veteran of the sport while still a teenager. That year he took his first major honour, winning the British featherweight title by overcoming Alec Lambert at London's National Sporting Club, and in 1914 added the European belt by beating the French fighter Paul Til at Premierland. In doing so, he became Britain's youngest ever featherweight champion. His career soon took him overseas, with Lewis embarking on the long sea journeys to Australia and then on to America to find fights, his options having become scarce in Britain following the outbreak of World War I. It was in the U.S. that Lewis found his greatest success and, for a time, became a genuine celebrity. His breakthrough fight came in August 1915, when he headed to Boston to take on the Irish-American fighter Jack Britton, nicknamed 'the Boxing Marvel'. Given Boston's vast Irish community, it's easy to conclude which fighter would have been the crowd favourite that evening. But, over 12 rounds, Lewis emerged as the victor on points and thus claimed the world welterweight championship. In doing so, he became the first British boxer to win a global title on American soil. The Britton bout made Lewis' name, but it was just the beginning of a rivalry that, by its conclusion, had become one of the greatest in boxing history. The two men would dispute the title 15 times, though that number could be higher still given the conflicting views on how many of their bouts were proper title contests. Indeed, between 1915 and 1922 they were the only fighters to hold the belt. In an era of eight weight divisions and just one titleholder for each, theirs was a remarkable and dominant rivalry. Lewis lost the belt for the final time in New Jersey in July 1919. He challenged Britton for the title again in 1921, but was defeated by unanimous decision. Aside from his boxing success, the time he spent in America also made Lewis famous. He met his future wife Elsie Schneider in New York, and became a close friend of Charlie Chaplin, who would act as godfather to Lewis' son Morton. Lewis also tried his hand in the movies, predominantly tackling boxing pictures. Inevitably, he was typecast: not only was Lewis best known as a fighter, he also looked like one, with many years of punishment having left their mark. When the war ended he returned to Britain and continued to earn success in the ring, moving up through the weight classes as he advanced in years. In June 1922 he became British middleweight champion by beating Frankie Burns at Holland Park Rink in London, then added the European belt five months later. He even tried his hand at heavyweight. In May 1922, he challenged Georges Carpentier for the world light-heavyweight belt, though a first-round knockout signalled the end of Lewis' tilt at world titles. He retired from fighting in 1929, but his time in the spotlight was not yet over. In a truly strange turn of events, Lewis was standing for parliament just two years later. Even more bizarrely, he did so for a man who would later become notorious as Britain's leading fascist and anti-Semite. In the period after World War I, Sir Oswald Mosley was the coming man of British politics. He was first elected as an MP in 1918, winning the Harrow seat for the Conservatives. Something of a political itinerant, Mosley left the party and sat as an independent, then joined the Labour Party in 1924. In that year's election he attempted to unseat Neville Chamberlain, but lost by just 77 votes. In 1926 he returned to the commons by winning Smethwick for Labour, but in 1932 he fell out with the party following a disagreement over unemployment policies. Mosley promptly resigned and formed his own political movement. Though in some respects a highly imaginative man, Mosley deigned to call this the New Party. Among its early advocates was Ted Lewis. The New Party was seen by its supporters as a break with old politics that had led Britain into a disastrous war and failed to look after the men who fought in it. It was a serious movement, albeit never particularly well organised, and had the backing of some very wealthy individuals. On the ground Mosley gathered a strange mix of supporters, from respected politicians to racist cranks, from members of the aristocracy to retired sportsmen. Lewis, of course fell into the latter category, along with the former England rugby captain Peter Howard. They were charged with leading and training the 'Biff Boys', a quasi-military group who possessed worrying hints of European fascism. According to Stephen Dorril, a British academic who wrote Blackshirt: Sir Oswald Mosley and British Fascism, the Biff Boys "were a kind of honour guard at Mosley's meetings." Certainly, the synthesis of brain and brawn that Mosley sought to portray – he was a champion fencer and handy boxer – conformed to this. It should be said that the ideas Mosley and the New Party were putting forward in 1931 were neither fascist nor anti-Semitic, though they had elements of both. "You could see where it might lead," says Dorril. "Whether Lewis saw that at all, I don't know. But I suspect he didn't. He liked Mosley because he was a big figure – literally. He did fencing, he'd boxed at Sandhurst, been in the military. Mosley liked to surround himself with muscular men and there is an element of homoeroticism around it. Certainly, some people around Mosley truly fell in love with him. It was a weird mixture, really." In retrospect, Lewis' support of Mosley does seem extremely unlikely, but at the time he was not alone: "Mosley did initially have Jewish [followers] who were genuine in their support of him," says Dorril. Nevertheless, Lewis went a step further by standing for election in 1931, when the New Party fielded a total of 23 candidates. They ranged from serious politicians with considerable experience, such as John Pratt and indeed Mosley himself, to less credible candidates such as Lewis, who stood in his local Whitechapel and St Georges constituency. Exactly why Lewis was selected to run for parliament we cannot be certain. Clearly he was a well-known and popular figure in East London, and while there would have been almost no notion that he could win the seat it must have been hoped that he would attract some positive attention and a decent number of votes. But the party was overstretched, and appear to have put Lewis foreword in something of a last-minute panic. His election slogan was "Rome wasn't built in a day," which while factually correct lacked the kind of big-thinking and positivity that people were after in inter-war Britain. Ultimately, Lewis' run for parliament was a disaster. He polled a derisory 154 votes, the fewest of the 23 New Party candidates. (Both Mosley and Sellick Davies won 10,000 votes in their respective constituencies, but ultimately fell well short of earning a seat). "I think that probably hurt. They put him up because they thought he was popular," says Dorril. Lewis may have been a well-known boxing champion, but this was by no means enough to convince the people of Whitechapel to vote for him in a fiercely contested national poll. His association with Mosley would not last much longer. "Increasingly, Mosley became embarrassed by the Biff Boys," says Dorril. "Their activities got out of hand. Some of them seemed to enjoy the violence and fisticuffs, they were becoming too visible, and there was a move within the party to get rid of them." Politically, Mosley also shifted to a position that Lewis must have felt extremely uncomfortable with. After the defeat of 1931, Mosley embraced European-style fascism and founded the British Union of Fascists in 1932. Among other things, this saw him move towards more open anti-Semitism, particularly in Lewis' native East London. The Battle of Cable Street, in which anti-facist demonstrators fought Mosley's supporters, took place in Lewis' native East London in 1936. In a biography of his father, Morten Lewis gives his version of how he was taken along to watch the former boxer quit Mosley's movement. It involves Lewis taking on Mosley and a pair of his henchmen at their headquarters, leaving the former reeling on the ground and the other two out cold. Then, after walking down the street, Lewis is said to have returned to the building and knocked out two more guards, without provocation. It is a fanciful story, but its motivation is understandable. After World War II, Mosley became a pariah of British politics and society. After all, this was a man who had supported Hitler and been married in Goebbels' sitting room. With the full horrors of Nazism becoming clear, Mosley's views became intolerable. That the Lewis family would wish to distance their father from this is entirely understandable. The more likely truth is that Lewis, like many Jewish supporters, simply drifted away when anti-Semitism became a theme of Mosley's politics. Quite what it was about Mosley that appealed to the former champion is not certain, though this was not his only questionable acquaintance: as an old man during the sixties, Lewis got to know the notorious Kray twins. The boxing-mad gangland bosses brought the old champion to their birthday parties and charity evenings, and they even used him as a decoy when springing a fellow criminal from Dartmoor prison. Again, how much of the real Krays the ageing boxer knew is unclear. There is a sense that he was taken along for the ride by those seeking to use his fame. As an elderly man who had fought hundreds of professional boxing matches, he was perhaps vulnerable to manipulation. Lewis lived out his final years at Nightingale House, a Jewish retirement home in Clapham, which his son recalled as one of the happiest periods of his father's life. He died in 1970, at the age of 77, and is now little known outside boxing circles. Yet Ted Lewis – or Gershon Mendelhoff – is one of the most interesting champions the sport has seen, not only for his success in the ring but also for the life he lived afterwards.